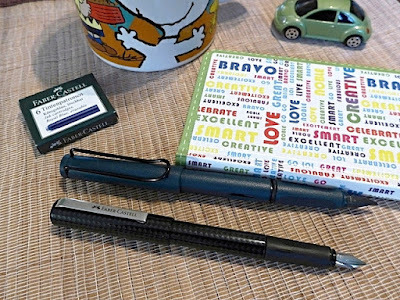 A few weeks ago, I stopped by one of my favourite gift shops, Nikaido (located in historic Steveston village) to see if they had the new Lamy Safari in "Petrol", the dark bluish shade selected as the 2017 Safari colour. The Faber-Castell also comes in red and blue, and is a good starter fountain pen. 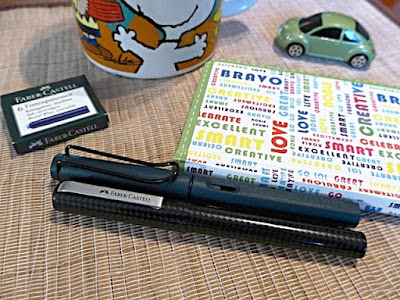 It's a lightweight writing instrument with a smooth steel nib that uses either ink cartridges or a converter (that allows you to use bottled ink). I only saw the model in black at Nikaido (that may have changed since my visit), but I believe Wonderpens.ca in Toronto sells them in all three colours on their website . 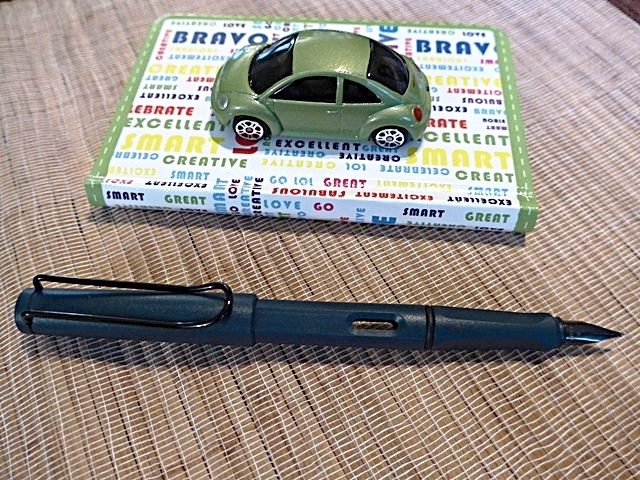 The Lamy Safari in "Petrol" is one of several Safaris I own, and it's as reliable and smooth-writing as the others. I really like the way this colour looks in the matte finish. 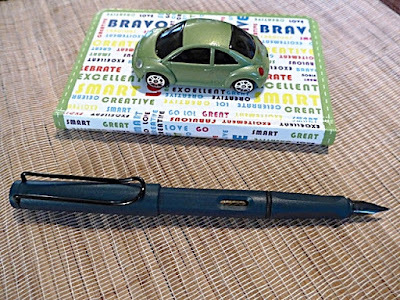 Well done, Lamy!